As the Indian smartphone market grows explosively, consumers are being attracted more to local brands such as Micromax and Karbonn, and this means Samsung could soon lose its leadership position as the market becomes an increasingly difficult one to compete in. The latest statistics released by IDC show that Samsung’s leadership position in the Indian smartphone market is being threatened particularly by local vendor Micromax. 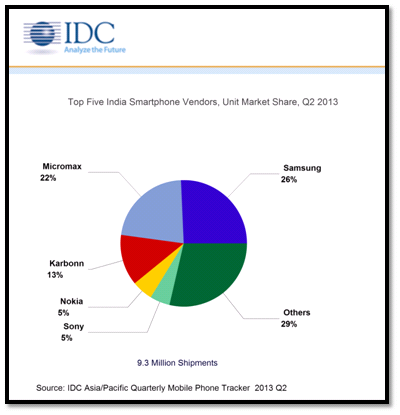 Samsung’s market share fell to 26 percent in Q2 2013, from 32.7 percent in Q1 2013, whereas Micromax increased its share to 22 percent in the second quarter from 18.8 percent in the previous quarter. 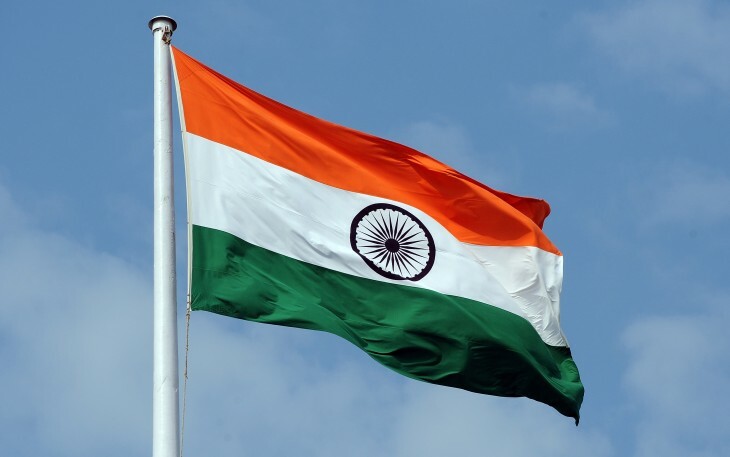 IDC noted that the Indian smartphone market nearly tripled its shipments year-over-year in Q2 2013 — with a total of 9.3 million smartphones being shipped in the second quarter this year compared with 3.5 million units last year. The second quarter also saw more than 50 percent growth over the units shipped in Q1 2013. In particular, Indian consumers are drawn to phablets, which are smartphones with screens measuring 5 inches to 6.99 inches. The number of phablets shipped grew 17 times year-on-year, and now such devices make up a 30 percent share of the smartphone market in Q2 2013. With the immense amount of competition, it remains to be seen if Samsung can cling on to its top position, or if it will soon be swallowed up by local brands that may better understand and cater to what Indian consumers are looking for, as they transition from feature phones to smartphones.